Editor's Note: This article is part one of Thrillist’s year-end look at the best of New York City's food and drink scene in 2016. Below, you'll find our picks for the city's Best Bartenders of the Year, all of whose skills with spirits are eclipsed only by their charismatic presence behind the bar. You can read our choices for NYC Chef of the Year and Best New Restaurants here. In 2016, New York City’s bar scene hasn’t followed one singular path. We’ve seen big names open up fancy cocktail joints (BlackTail from the Dead Rabbit team, The Bennett from the people behind Raines Law Room, Westlight from a PDT vet and a top chef), but we’ve also seen plenty of great, new “bar” bars (that means drinks that cost less than $16 and an overall feel that you could roll in any night of the week and feel at home) -- places like Belle Shoals in Williamsburg, Super Power in Crown Heights, and Do or Dive in Bed-Stuy. If anything’s remained constant across the board this year, it’s been the spirits -- or, really, one spirit in particular. Mezcal undoubtedly had a huge year in many major drinking cities, but New York’s bartenders especially took note. It’s nearly impossible to find a bar menu today without a mezcal-forward drink (or, at the very least, one that involves some other agave spirit). But it’s not just about the booze, of course; there are so many factors that contribute to the experience of being at a bar, and bartenders have better eyes on that than anyone else. To take stock of the year of drinking in New York, we spoke to six of the city’s top bartenders right now and found out exactly what moments defined this year for them at the bar. Prior to getting into the bar game, Rome-born Pietro Collina was a cook in London, having spent most of his youth in the restaurant industry. In 2009, after graduating CIA, Collina became a server at the holy grail of NYC restaurants: Michelin-starred Eleven Madison Park, where he fell in love with wines and spirits and eventually made his way behind the bar. A few years later, Collina started splitting shifts between EMP and the stylish, bi-level NoMad Bar, where’d he’d eventually become head bartender in 2014. He now serves as bar manager of The NoMad Bar, which has won countless awards under his reign (including Best American Hotel Bar 2016 at Tales of the Cocktail) and is known for its crazy large-format drinks that come in crystal decanters, appropriately called Cocktail Explosions. We spoke to Pietro Collina about the highlights from his year behind the bar. 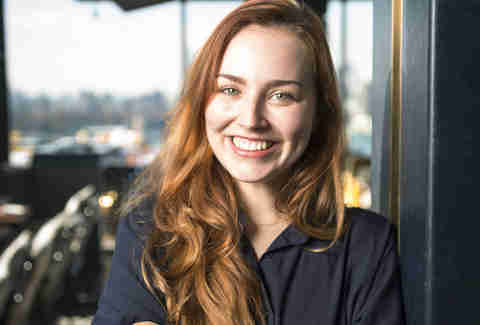 Before stepping into her current role as head bartender at Westlight, the much talked-about rooftop bar atop the brand-new William Vale hotel in Williamsburg, Anne Robinson had a long and notable history in NYC’s bar scene. 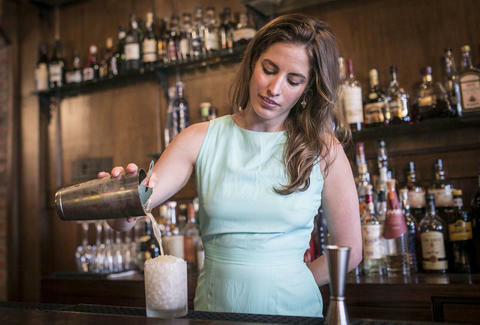 The Boston-born bartender kicked her career off strong at Jim Meehan's famed speakeasy PDT, where she went from being a waitress to making her mark on the bar’s impressive cocktail menu. She then went on to open up another quasi-speakeasy, the late Sasha Petraske's Dutch Kills, before making her way to Momofuku's recently closed and deeply mourned Booker and Dax. In 2014, Robinson joined NoHo Hospitality Group to head up the beverage program at both Little Park and Evening Bar. Now at Westlight, she’s crafted a menu that perfectly blends the classics with bright originals, like the New Kind of Kick with Scotch, fernet, lemon, and Suze, to match chef Andrew Carmellini’s menu of elevated small bites. We spoke to Anne Robinson about tequila and crazy customers. President of the New York chapter of the United States Bartenders’ Guild and a native New Yorker, Pam Wiznitzer first made a name for herself at what’s arguably the best bar to make a name for yourself: The Dead Rabbit (she was one of the award-winning bar’s original bartenders). After that, she went on to serve as creative director of the Upper East Side’s speakeasy-ish Seamstress, one of the best new bars in the country last year. This year, Wiznitzer joined the Seamstress team on another notable opening, Williamsburg’s Southern-themed Belle Shoals, where she’s taken on the title of creative director again, flaunting her skills with drinks like the Devil’s Music with Ilegal mezcal, blanco tequila, Ancho Reyes, kale, and lime. We spoke to Pam Wiznitzer about gendered drinks and mezcal. Of all the great how-I-got-into-bartending stories, Ivy Mix’s tale has to rank among the best. At 19, she traveled to Guatemala, where she ran up such a huge bar tab at Café No Sé in Antigua that she had to start working there to pay it off. Over the next few years, her Latin American adventures also notably included smuggling mezcal across the Mexico-Guatemala border. This obvious passion for agave spirits eventually led to her first job in NYC, working as a cocktail waitress at noted mezcal haven Mayahuel in the East Village. Bartending gigs at notable cocktail destinations Fort Defiance and Clover Club soon followed. Then, in 2015, she partnered with Clover Club’s Julie Reiner to open the mezcal-centric Leyenda in Carroll Gardens. It’s probably the most popular spot to sip this most popular of spirits (and other agave-based elixirs) right now in the entire city. 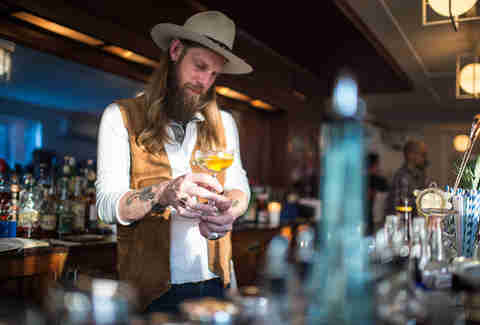 Mix has racked up a bunch of accolades, including the coveted title of Best American Bartender of the Year at Tales of the Cocktail in 2015. (Leyenda was also a nominee for Best New American Cocktail Bar this year.) But she’s equally proud of her work with Speed Rack, a ladies-only nationwide bartending contest which she co-founded in 2011 that also raises money for breast cancer research. We spoke to Ivy Mix about the year in agave spirits and more. Prior to his life behind the bar, Giuseppe González studied neurobiology at Cornell University. So, if he decides to cut you off, don’t even try to argue with his diagnosis -- the drinks have clearly gone to your head. González has ably tended bar in some of NYC’s most esteemed drinking dens, including Clover Club, Dutch Kills, and Flatiron Lounge. Earlier this year, he opened Suffolk Arms on the Lower East Side, one of the breakout boîtes of 2016. But he is perhaps best known as the inventor of the Trinidad Sour, a whiskey-based cocktail that comes loaded with an astonishing amount of bitters, yet somehow retains a sense of balance and drinkability. 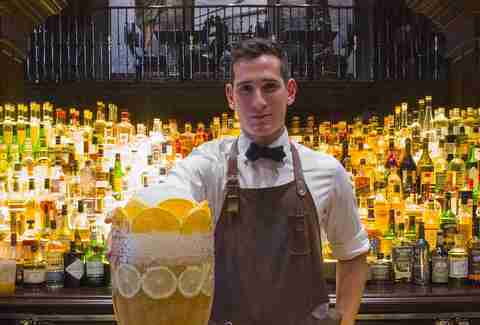 Despite all the other tantalizing drinks on his menu, González still serves a lot of them. 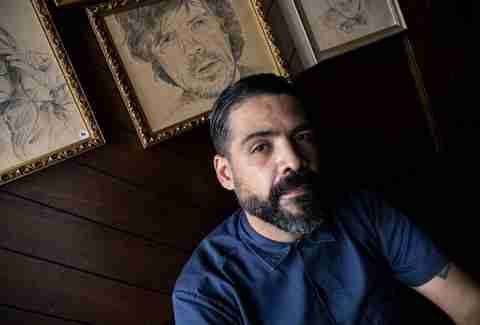 We spoke to Giuseppe González about a few things besides his famed Trinidad Sour. Some preadolescents collect comics. Young Damon Boelte collected cocktail books. That juvenile fascination with adult beverages clearly paid off. Today, the Oklahoma native is one of the most respected bartenders in the entire city. After a stint at Red Hook’s once-revered, now-defunct liquor shop, LeNell's, Boelte made his mark by establishing the bar program at Prime Meats in Carroll Gardens, one of the first serious cocktail destinations in contemporary Brooklyn. Last year, he partnered with Mile End’s Noah Bernamoff, Rucola's Julian Brizzi, and food photographer Daniel Krieger to open Grand Army, a laid-back neighborhood hangout and oyster bar in Boerum Hill that manages to pull off very sophisticated cocktails without the usual pretense that comes with it. If you haven’t tried Boelte’s expertly prepared concoctions, you may have heard him riffing about everything liquid on his weekly Heritage Radio program, The Speakeasy. We spoke with Damon Boelte about cocktail elitism and more. Chris Shott is Thrillist's Senior New York Editor. His official certification in the Techniques of Alcohol Management expired back in 2003. Follow him on Twitter and Instagram.